Hello everyone, In today's life, we used many things full of chemicals which very harmful to our skin. All of you are like applying makeup and makeup are loaded in full of chemicals and we use also chemical loaded makeup remover to remove our makeup. It was very harmful to our skin. Previously I reviewed Garnier micellar water which I liked the most and one of the best makeup remover. 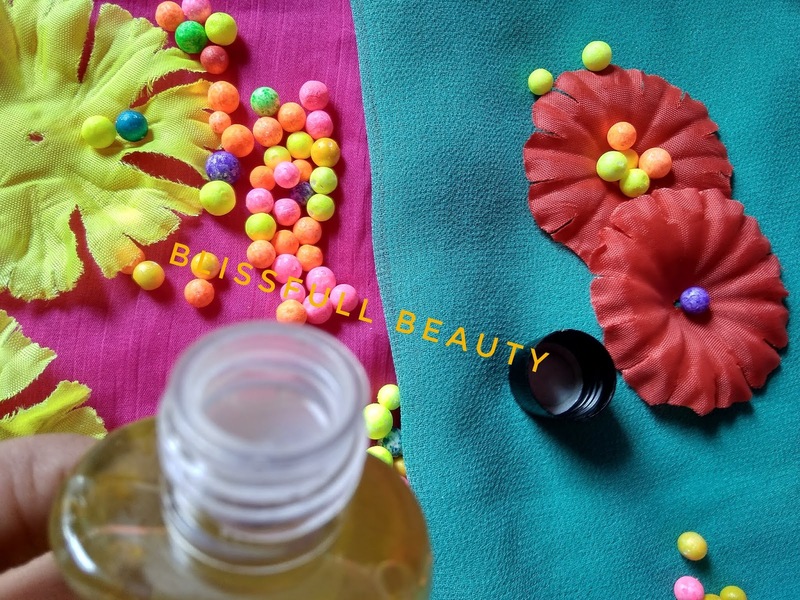 But today I am sharing a makeup remover which is free from harsh chemicals and paraben and the best part is its a handmade makeup remover. All of you are curious about this product. Right, so not to waste of time I will reveal that product which is Fuschia handmade makeup remover. 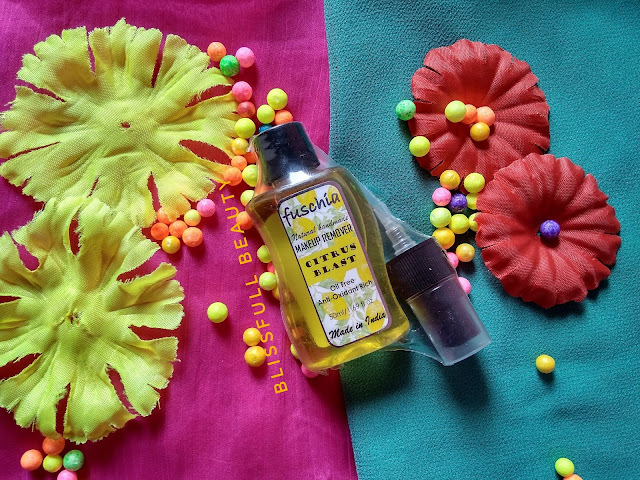 So let's get into the review and know details about this product and how it works. 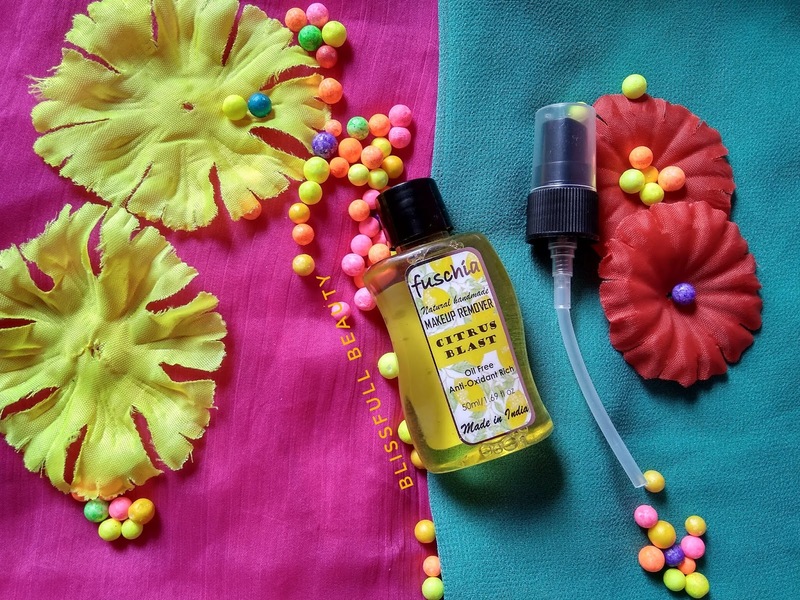 Fuschia Makeup Remover comes with a plastic bottle with a cap and spray nozzle. You can use it a normal bottle and with spray form and it's totally up to you. I liked the packaging and convenient to use. 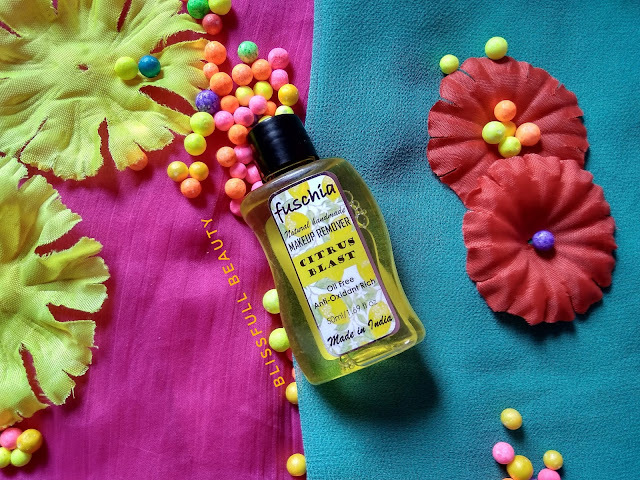 Fuschia Makeup Remover is lemon color liquid consistency and fragrance is also lemon kind of smell. That's why its name mentioned citrus blast makeup remover. When comes to makeup remover I prefer using chemical free makeup remover. Fuschia Makeup Remover is effective for normal makeup that means it has to remove makeup base and Kajol and lipstick effectively but in case of waterproof makeup it is not effective that much. 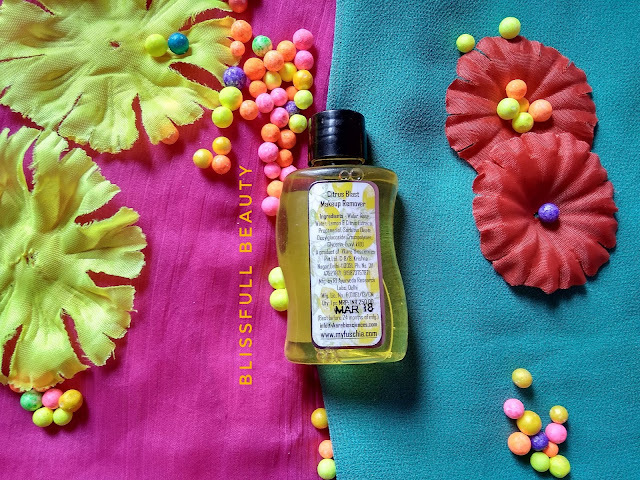 So you can use this makeup remover if you are daily wearing makeup normal base lipstick and Kajol and not waterproof then it works nicely. But if you are using waterproof makeup means like waterproof mascara then it does not remove easily. As its handmade and free from harsh chemical, it is best for daily use makeup remover if you are wearing normal makeup daily.